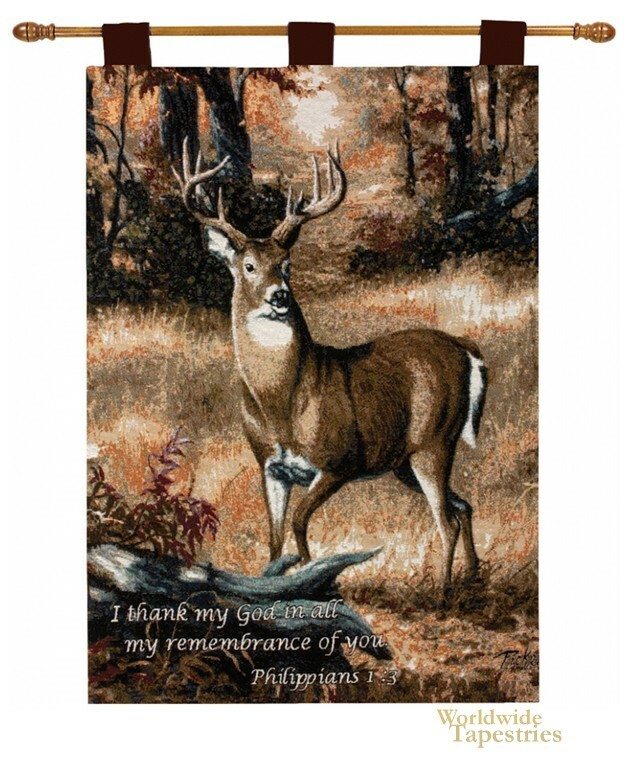 Forest Buck with Verse tapestry shows a deer in the forest with a Christian biblical verse. The verse reads: I thank my God in all my remembrance of you: Philippians 1:3. This Christian tapestry is backed with a lining and a tunnel for easy hanging. Note: tapestry rods and tassels, where pictured, are not included in the price.